Hooray – sometimes I’m right about stuff and things! 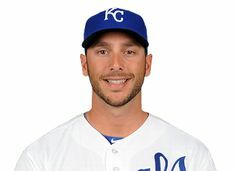 Today, the Chicago Cubs received catcher George Kottaras from the Kansas City Royals, who had designated him for assignment late last week. As expected, Kottaras was a touch too valuable to merely be plucked off the waiver wire, and the Cubs had to acquire him via trade, though it was a deal for cash. As far as theoretical back-up catchers go, I’m not sure the Cubs could have done much better than Kottaras. He’ll make about $1.5 million in arbitration next year – a perfectly reasonable price for a back-up catcher, particularly one who is solid defensively and has the bat to arguably justify a starting gig. 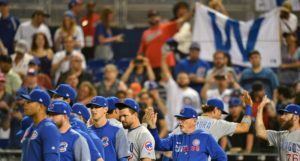 If the Cubs like him, they can even keep him for another year. Last year, Kottaras hit just .180 … but his OBP was .349. That’s right. Kottaras had a 19%(!!!) walk rate last year. For his career, he walks at an amazingly high 14% clip. That’s important, because he’s never hit for much average, with a BABIP that always hovers in the .250 range and a strikeout rate in the 22% range. Still, combine that walk rate with an ISO that’s around .200, and you’ve got a quietly valuable player. He also grades out well defensively, according to FanGraphs. Kottaras turns 31 next year. The Cubs may continue to search for back-up catcher options, given their depth issues there (they’ve signed Eli Whiteside on a minor league deal), but Kottaras is your obvious favorite to back up Welington Castillo next year. Their opposite bat-handed-ness complements each other (that is say, Castillo bats right, and Kottaras lefty), and Kottaras is a veteran back-up who should be able to continue handling the role well. Kottaras goes right onto the 40-man roster, which, by my count, now stands at an even 40. He’s eligible for arbitration, and must be tendered a contract by December 2.